The Thin Lashes Antenna is still very bold, but just a little smaller than the Lashes Antenna. It has a great weight and a lot of movement. This piece is hand done in matte sterling. 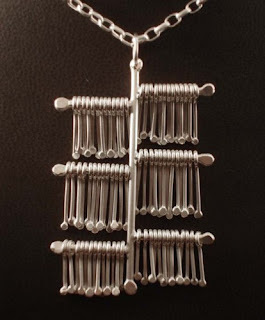 The pendant is about 2" long and the chain is adjustable to an 18" length.